Recently, there have been plenty of online articles about the rise of advertising blockers, and the efforts of publishers who depend on advertising to stem them. Some have resorted to blocking the blockers, to mixed reviews. 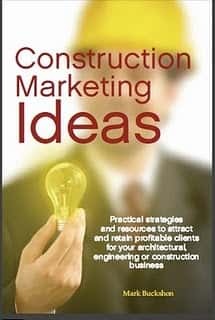 Now, lets take the discussion to more traditional construction marketing areas; the free consult or (more blatantly), the free estimate. These ideas have been around for years and there are plenty of observers who suggest you shouldn’t do this sort of stuff if you want to make any money. 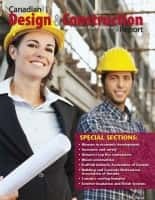 Yet many successful contractors indeed provide “free estimates” and obviously professional service providers, consultants and the like certainly are encouraged to provide free content, such as you are reading here. Where are the boundaries? When should “Free” be a banned word and how do you manage the process? Alas, I don’t have a magical solution, and I am guilty of plenty of inconsistencies in my application of the rules of the game. For example, this website (and our companies’ regional publications, such as Chicago Construction News and Florida Construction News, receive plenty of press releases from AEC businesses (often using for-fee agencies) seeking publicity for their announcements. We also have some ongoing contract advertisers who provide news releases to us. The traditional concept of editorial integrity is that the news section should be totally free and advertising and advertising-supported material should be clearly marked or presented as boxed advertising or advertorial. But the pure application of this practice would lead to some really unfair gaming — PR agencies would plant all the stuff they want (paid for their services) while the paying advertisers would suffer, as the editorial content almost inevitably has higher readership and effectiveness than anything displayed as advertising. Accordingly, I try to act as a gatekeeper. If an advertiser sends us a news release, we’ll publish it. (We may give it relatively low prominence if it isn’t at all newsworthy, but it will still run.) If a non-advertiser sends us a news release, we’ll tranche it by (a) the non-advertiser’s business or non-profit status, (b) the news-release publishing frequency, and (c) the newsworthiness of the content. As you can tell, this involves some subjective decisions. Add to the equation: The news hole. While online media is different from traditional print, where you can post an unlimited amount of content, we still have constraints, such as the maximum five articles in our weekly eletters. Sometimes when I’m preparing the eletter, I’m short of content and a mediocre news release from a commercial business arrives. It could, in that situation, be published, when otherwise we would ignore it. If, having read this, you are scratching your head about free or not-so-free, I’ll conclude with some observations that may help you define your own rules. Free is not-so-good when you are providing extensive, individualized advice and support for non-paying people and organizations who are “using” you. Providing extensive drawings and workplans as part of a free estimate won’t do you much good if the potential client then shops it around or does the work him or herself. Networking and freely sharing your observations with others who provide absolutely nothing in return, over a prolonged period of time, simply drains you and leaves you with empty pockets, and an empty spirit. And you can still call or email me for some free advice or consultation. If it gets to be too much, however, I’ll tell you. Do you have your own rules for “free”? If you wish, please share them either as a comment or by email to buckshon@constructionmarketingideas.com. If you do, you are sharing your ideas for free, of course, and I’ll respond with free respect and consideration.